Here is a Judo workout video from KBI. We started off the workout with some light running. Followed by Ukemi (break fall practice). Newaza is next which is ground fighting, the mother of Brazilian Jujitsu. This is the best part… Randori (live fighting). What is a workout without push ups to top it off?! A photo from the workout. Please enjoy my osoto gari instruction video. 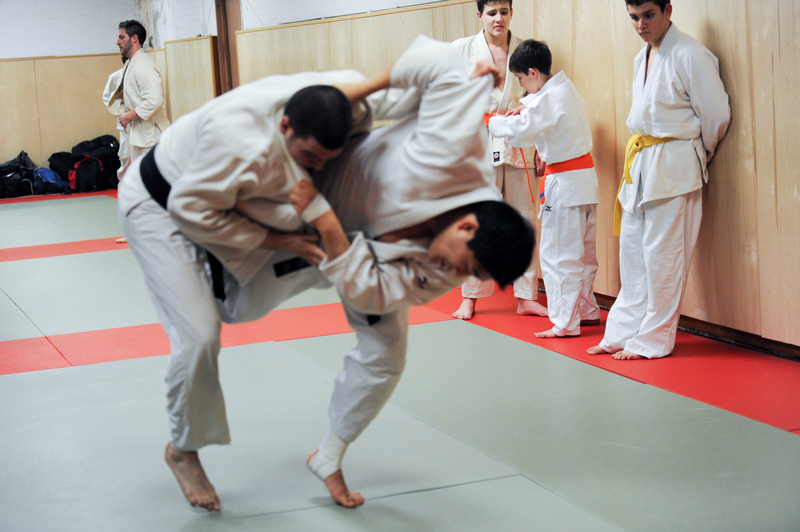 Osotogari is one of the original 40 throws of Judo as developed by Jigoro Kano. It belongs to the first group, Dai Ikkyo of the traditional throwing list, Gokyo (no waza), of Kodokan Judo. It is also included in the current 67 Throws of Kodokan Judo. It is classified as a foot technique. Check out this lovely set of Haikus written by one of our own. Michael lives and trains Judo in New York City. He is originally from Boston and he is a Harvard grad. The merits of the sport are apparent. Not only does it promote growth in physical aspects (strength, speed, etc), but it also helps the mind flourish. Jigoro Kano developed judo as an education system that encompasses all areas of life. Many sports has the sole mission to build the athlete to acquire a certain skill set and to excel within the realm of the sport itself. However, Judo helps you to become a better citizen of the world. I believe humans are supposed to reach out and grab someone. To fight, grapple and play. Throw, trip and wrestle. The fight or flight is the most primitive of human responses and I believe Judo training caters to this human need. In the modern tech age, we spend most of our days staring into a glowing rectangle, hunched over our artificial communication centers. Couped up in our 9-5’s. Even the food we eat is processed to a point where there aren’t any remnants of what nature originally intended for us to consume. In a world like this, no wonder people fall into the depths of dark psychological abyss. Although I know I am biased through the childhood indoctrination, I believe judo is the Panacea to this pandemic. Throw a gi on, reach out, Grab someone and fight them! But not JUST fight… BUT The way Jigoro kano meant for it to be… In congruence with an education system that develops the mind, body and soul. Here is a thread about Judo and longevity. Enjoy. Is judo harsh on the body? 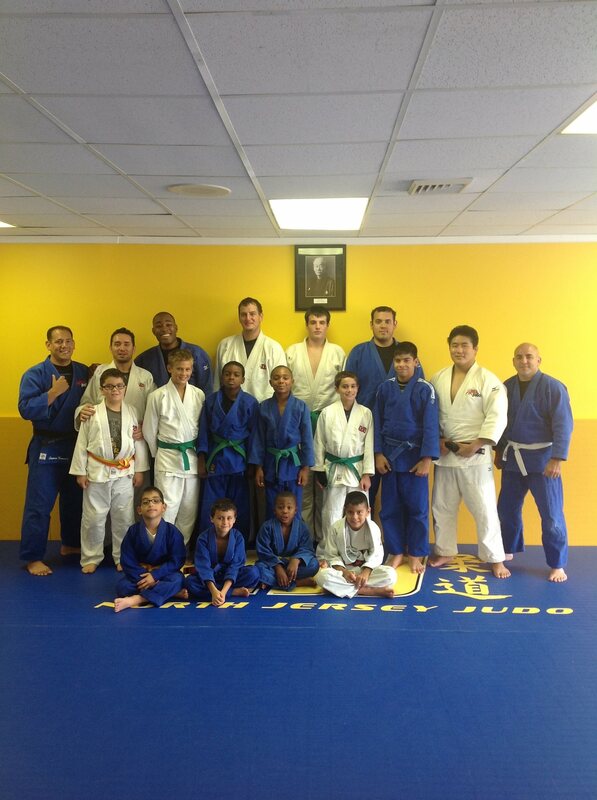 Over the weekend, I hosted a Judo clinic at North Jersey Judo. I taught a myriad of combinations off Sasae. Maybe I will share the video with you one day! But today, allow me to share with you, where it all began. Left Uchimata. Boom. I should have left the gi at home and sported a parachute instead. That loss helped me propel my career forward. It was a humbling experience and it made me a better person. Thank you for that. So here we are, a decade and a half later. This might be embarrassing for me admit, especially on a public site like this, but I stare into the mirror twice a day, everyday. I think it is an absolutely fascinating phenomenon that I can completely deceive myself while looking at this reflection of mine. My perception changes from day to day, depending on my emotional state. Sometimes, I can’t stop admiring myself while I flex and pose. I see limitless potential, a Judo Olympic Gold, NYC marathon winner, strongest man in the world, a Nobel Laureate. Then again, sometimes, the most minuscule flaws haunt me. Are my shoulders uneven? Are my calves too small? Should I cut to 81kgs for my next Judo competition? Everything about the mirror titillates my curiosity. How humans are the only species in the world that uses this tool. Or how a well placed mirror can open up the room, play with the light, change the levels, and complete your DIY feng shui project. How some gyms uses skinny mirrors and how others use wide. While doing a little reading about mirrors, I have come to realization that many people see mirrors as a negative thing. Whether you are ugly or beautiful, fat or thin, mirrors can be your worst enemy. So I challenge you, to defeat this emotional association. Here is the challenge. Did I exercise to develop my body and mind today to improve the reflection that I see now? Did I eat well so I can function at higher level? Did I learn something new today? Did I help someone today? Did I make progress towards my goals? If you answered to yes to all the questions, then you are on your way making the best possible association with your own personal reflection. Take this challenge every single night. As opposed to seeing the outer most layer of your current self, see the bigger picture and all that untapped potential. Make steps towards your ideal self and make the paradigm shift to loving the person staring back at you! Why Judo is underrated in MMA! Judo Boom is coming to NYC I’m telling you!! Let us be our dojo brother Lokke Highstein’s guest and see the Memorial Exhibit of his fathers work, who was a pioneering American sculptor. Jene Highstein, was a formative, process based, exploratory sculptor, who has sadly recently succumb to cancer and passed on. Come celebrate his life and work, absorbing organic sculpture and other works. Please Email Sensei Shintaro at shintaro.higashi@gmail.com or Laird Banks at lbanks@nyc.rr.com with your name to be put on the list.